Cheryl Polcaro is a Boston area artist whose work has been shown nationwide. 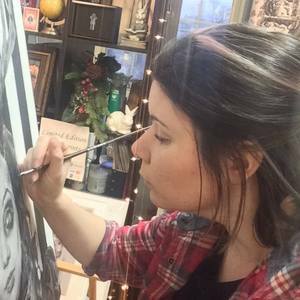 She graduated with a BFA from Montserrat College of Art in 1999 and currently works out of her studio in the thriving artist community at Western Avenue Studios in Lowell, MA. She is currently an active member of many artist organizations in the Massachusetts area. Recent exhibitions include work shown at Galatea Gallery in Boston, The Danforth Art Museum in Framingham, and Union Street Gallery in Chicago, IL. She resides in Billerica, MA with her husband, 2 dogs, and 3 cats.